While one faction of the poker world continues to hunt for EPT glory on one side of the UK’s capital, another eager cohort of players will be making their way to Aspers Casino today for the start of the WPT National London event. Hosted in association with PartyPoker, the £1,650 buy-in festival will run until March 19 and be streamed live on the Internet. This will be the first time the WPT has held one of its National events in London and in addition to the main event players can test their skills in a £10,200 buy-in high-roller tournament. In addition to the main focal points of the tournament, the organisers have scheduled a £200 ladies event as well as a £330 PLO event and an eight-max tournament. 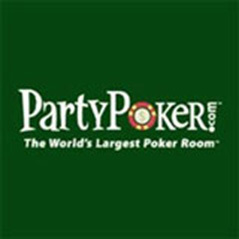 For the fans, the PartyPoker’s Premier League will also be taking place during the festival providing an opportunity for them to see the likes of Daniel Negreanu, Phil Hellmuth and Sam Trickett lock horns in a shootout format.